Looking for Wreaths to complete your Christmas decorations? Here we are with some beautiful wreath designs and Christmas Wreath Decorating Ideas which you can make to bring a new life in your decorations. Wreaths are the essential element of Christmas home decor; you can hang wreaths outside or inside your home to create a special atmosphere. 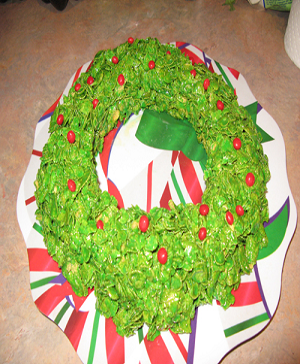 Christmas wreaths can be purchased from the market or you can make them at home with ribbons, paper, flowers, balls, cookies and by using natural material. Decorate your cupboards, dining table or chairs, on door handles and for outdoor decoration. There are many types of Wreath traditionally holly wreath sure used most commonly as it represents eternal life because it is green at the peak of winter. Here are some really interesting wreath decoration ideas which can help you in your Christmas decoration. 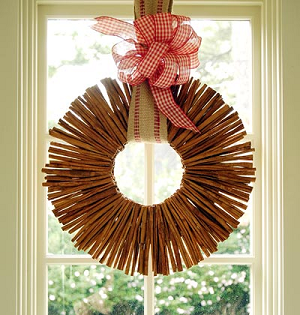 Traditional wreaths are very popular for outdoor Christmas decoration. 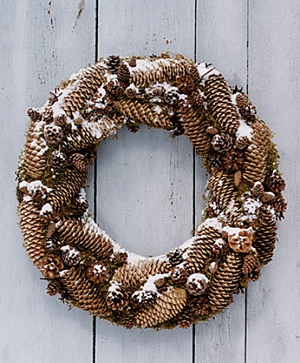 These wreaths are made by natural materials like green leaves, fruits, pine cones, berries and so on. 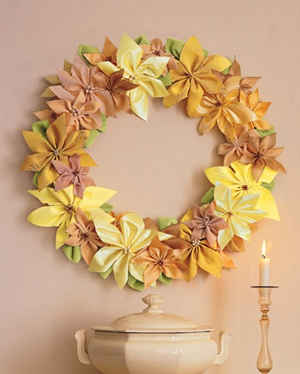 These wreaths look beautiful and you can make them more beautiful by adding colorful ribbons and bows. Eatable wreath is the perfect idea to decorate the dining table, they look beautiful easy to make and can be enjoyed after the celebration also. 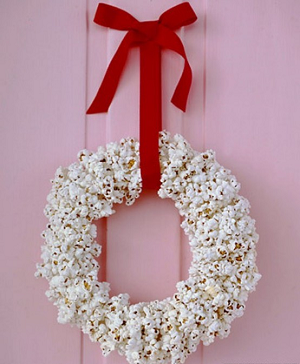 You can prepare eatable wreath from any dry eatable like popcorn, cookies, fruits and so on. Some of my favorite eatable wreath designs are shown below. You can make some beautiful wreaths at home from simple and easily available craft material at home. 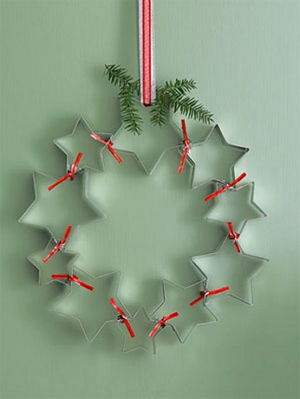 You can make the basic wreath structure by using wire hanger, wreath form or from simple cardboard. 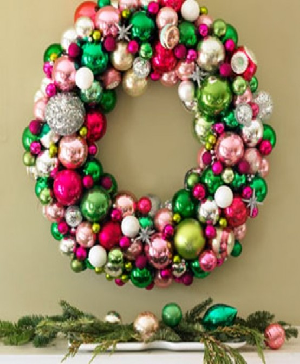 Just cut the basic structure from your material and paste the material you like on your wreath like metallic balls, Felt Balls, Christmas stars and decorate them with paper or cloth bow. 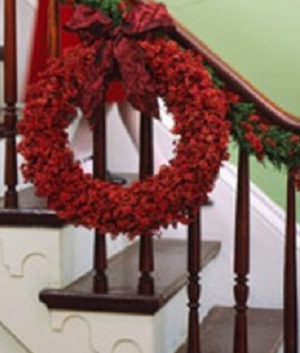 Your wreaths are ready hanging them where you want and have fun. Flowers are the best way to decorate your home on any occasion, so make the wreaths by using artificial or natural flowers to make the occasion more special or beautiful. You can gift wreaths to keep the memories alive. Just choose some gift boxes fill them with anything you like such candies, cookies, small ornaments and so on and paste them on wreath foam and your Christmas wreaths for gift purpose are ready. I also like cinnamon stick wreath which you can gift to your loved ones to fill their home with wonderful cinnamon smell. - First select the theme for your christmas decoration and purchase the wreath according to it suppose your are going to make decorations on nature based theme then it is good to select traditional wreaths as these are made up of lots of greens and natural material. - It is good to select artificial wreaths if your decorations are going to be display for more than three or four days. 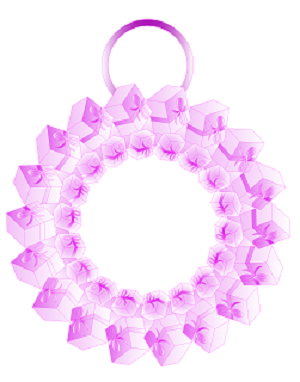 - Select the locations where you want to hang or place the wreaths. 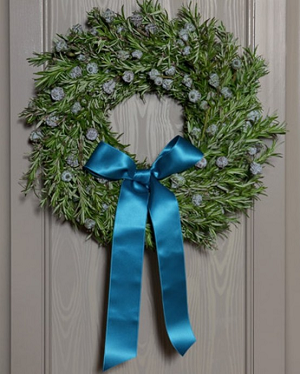 Traditionally wreaths are hanged only on the front door but you can hang or place wreath anywhere you like. Hang them on your walls,windows, chairs and place them as a dining table centrepiece. So before procurement of wreaths, decide on the number, types and sizes of wreaths required. - You can also do lighting around the wreath by placing electronic lights or candles to give it a glowing look which give a special appeal to the overall decorations of the house. We hope these above mentioned wreaths will make your Christmas decoration and complete and bring all the good luck for you on this auspicious occasion.